Who Keeps Pushing the Button – World War 3 Averted – Coercion Code – "Dark Times are upon us"
Did the World Just Avoid Two False Flag Attempts Designed to Start World War III?…. Pushing the “wrong button” was the explanation provided in an official timeline for that false warning that scared the devil out of people in Hawaii on last Saturday morning alerting them to an incoming ballistic missile that never was. The menu, which triggers alerts, contains a jumble of options, ranging from Amber alerts to Tsunami warnings to road closures. Some of them, such as “High Surf Warning North Shores,” are in plain English. And the menu contained no ballistic missile defense false alarm option — which has now been added at the top of the image, marked up by officials for explanatory purposes. Nobel Prize winning economist Robert Shiller has brought the extremist globalist war against the common man out in the open when he stated that Trump is an avowed “nationalist” who must be stopped at all costs. CNBC one of the waterboys for the New World Order, stated that Shiller says the world’s leaders find it “troublesome” that Trump’s nationalism” was thwarting the rising tide of a globalist takeover. Shiller stated that Trump’s “nationalist” victories will be short-lived because the Democrats will recapture Congress in the mid-term elections and Trump’s “America First” agenda will be effectively derailed. I am absolutely stunned how open the globalist are now becoming. They are not even hiding their agenda as they have for so many decades. Terms like “conspiracy theorist” no longer carry the punch that they once did. Shiller said Trump’s nationalist agenda is crazy. Yet, Apple just announced that they are investing $350 Billion in American plants. This is on the heels of Cadillac making the same kind of announcement as have dozens of “globalist corporations” who are defecting to Trump because they can make more money under the new tax plan than they can under the marxist-socialist policies of the wannabe elite. Shiller issued a threat to all men and women of common means. He stated that upcoming economic forum in Davos will find ways to stunt “the international growth of populism and nationalism that has surged as a result of Brexit and Trump”. 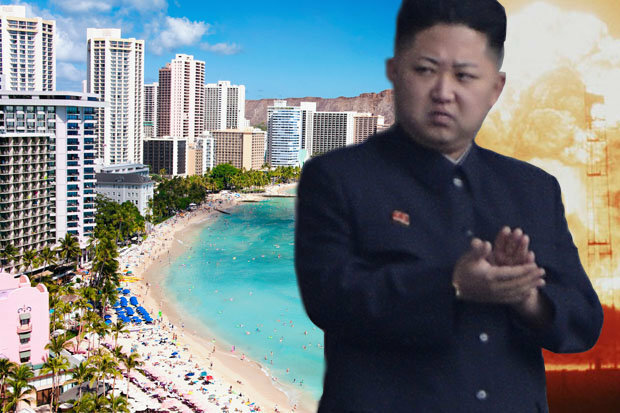 From the discussions I have had since the Hawaiian so-called fake missile alert, I have concluded that there was a indeed a missile fired at Hawaii in which it is my personal opinion that this was an attempt to provoke the American people into wanting WW III against North Korea. I believe that this missile was brought down and then the cover-up started. I have learned that the mechanism of warning of an impending attack is a 5 step process and the excuse that a wrong button was pushed in shift change is ridiculous. The readers may recall that the next day the same thing happened in Japan in which it was revealed that their system mimics the American system and is also a 5 step process before an alert is issued. I believe that what we will find as these two events are unveiled is that two missiles were fired in order to achieve the same end. I believe that this was a false flag attack attempting to frame North Korea for starting World War III. It is also my opinion that this attempted attack was in response to the announcement that the two Koreas are attempting to align along sports, namely, the Olympics. The globalists are desperate to not let this war of planetary unification commence against North Korea. I think it is clear that the world just avoided two attempted false flag events designed to produce World War III. Details are already leaking out and it will not be long until we have more proof to support my hypothesis. There is no question that the events in Hawaii were fabricated.